Established in 1995, APS Advanced Printing Systems is a company with leading market positions, track record and history in production of thermal printer mechanisms, controller boards and tailor-made thermal printing solutions. Our engineering, production, sales offices and representatives are strategically located across the globe in Europe, Asia and the United States. Our mission is to provide highly reliable, innovative thermal printer solutions that meet needs of customers’ applications. 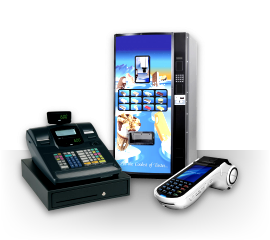 APS has created an extensive product line to meet the demands of most applications. 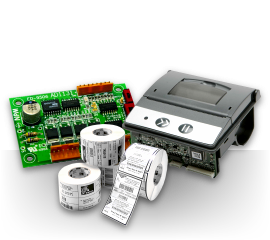 APS is the only company in the industry to offer built-in controller boards in our standard thermal printer lines to reduce footprint size and cost. APS also pioneered many other innovations such as our patented easy loading mechanisms and lever system, single flex cable connectors, compact kiosk modules, flat mechanisms, and high performance/low cost control board architecture. These innovations and more are part of the APS standard offering. New products and features are consistently added to our family of products to meet the ever-changing needs of the marketplace. When a specialized solution is required, APS is ready to work with the customer at every step to support the development of their application. Recently APS has partnered with many industries that maintain the most rigorous standards from medical equipment to government orders. APS can work with your engineers to meet any application condition. APS manufacturing facilities are strategically located throughout the world to serve our customers in the most efficient way. Our production plants are situated in Europe and Asia this way adding additional flexibility for delivery of the production. APS is ISO 9001-2000 certified and RoHS compliant. APS offers the complete thermal printing solution through its’ diverse product family of Mini, Flat, Compact, and Easy-Loading Printers, as well as Ultra Compact Bucket, Kiosk, Label Modules and Heavy Duty printers. 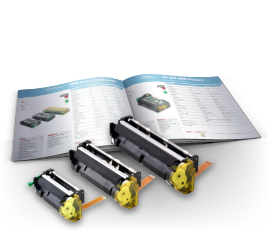 These printing solutions are accompanied by APS full line of accessories including power supplies, connection cables, user manuals, integrated controller boards, RS232 and Centronic interfaces, Windows and Linux drivers, demo software, and a high level of technical support. Whether standard or custom, APS can provide a thermal printing solution that is innovative, cost-effective and durable to meet your application needs.